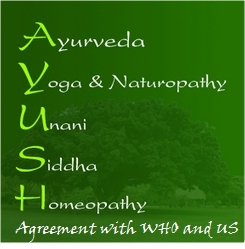 The Minister also said that in view of the suggestions received, the National Health Policy would be reviewed in the next six months to incorporate this aspect of propagation of AYUSH. India is also entering into a very important partnership with the United States for research in AYUSH for treatment of cancer. He was speaking after inaugurating the National Arogya Fair at Auto Cluster Development and Research Institute (ACDRI), PCMC, Chinchwad in Pune. The Arogya fair aims to create awareness among the people about efficiency of the AYUSH Systems, their cost effectiveness and the availability of herbs and plants used for prevention and treatment of common ailments. The fair is showcasing sectors like Ayurveda, Sidha, Naturopathy, Yoga, Unani, Homeopathy and other recognized traditional healthcare systems. Institutions, companies associated with these areas of health care including insurance, health tourism, lab equipment and machinery, research institutes, hospitals, naturopathy centres are taking part in the event. Central Research Councils and National Institute in the AYUSH Systems of Medicine along with the National Medicinal Plant Board (NMPB), Indian Medicines Pharmaceutical Corporations Limited (IMPCL) amongst others are showcasing their strengths in research, education and development of such products.